YouTube Launches YouTube Director: YouTube announced the release of a suite of products designed to let business owners create video ads from their phones. Snapchat Launches Advertising API: Now, businesses and brands can work with Snapchat Partners to buy ads on the platform. Snapchat Partners are divided into two categories: Ads Partners and Creative Partners. Ads Partners will help brands buy, optimize, and analyze campaigns, while Creative Partners specialize in Snapchat’s vertical-video format, which will soon be rebranded as Snap Ads. Apple News Now Supports Social Media Embeds: “This release of Apple News Format includes a set of features designed for iOS 10 beta. These features add more authoring capabilities to existing style components.” Publishers can now embed Facebook and Vine posts inside articles, include playable video URLs, and customize feature stories with cover art. Facebook Launches Store Locator to Increase and Measure In-store Visits and Sales: This new feature will help businesses that use local awareness ads “drive people to their stores and measure the amount of store visits and in-store sales following their mobile ad campaigns.” Now, users can “click on the map in the ad to see: address information, store hours, a phone number, the website, as well as estimated travel time for each location. The store locator is available to all advertisers and can be added to any local awareness ad. Twitter Introduces Emoji Targeting: To “help drive deep engagement and better performance for brands,” Twitter announced “the availability of emoji keyword targeting” in Twitter ads for advertisers “who work with Twitter Official Partners: AdParlor, Amobee, HYFN, Perion, SocialCode and 4C.” The new targeting option will allow brands to reach people based on expressed sentiment or passions and food emojis. In this blab from Friday, June 17, 2016, Michael Stelzner and guests discuss the top news in social media. Topics include Microsoft’s acquisition of LinkedIn (01:20); Facebook video comments, 360 photos, and Offers (19:50); and expanded Pinterest ad targeting options (37:25). Subscribe to future shows here. Messenger Makes It Easier to Start Conversations: In a bid to make Messenger easier to use, Facebook updated the app to let you “see the first few most recent messages at the top of your screen, followed by a new Favorites section, which highlights people you message most frequently, so you can quickly pick up your last conversation.” In addition, the Active Now section will show which friends and connections are currently available for messaging. Social Media Metrics Map: One of the biggest social marketing mistakes you can make is not defining what success looks like up front. Without clear and established goals, you run the risk of creating confusion and misalignment down the road. 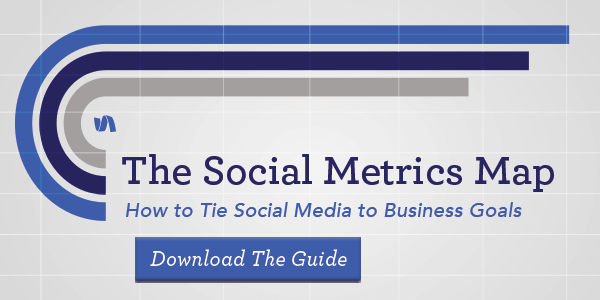 Our Social Media Metrics Map helps social marketers connect your goals to those of your buyer. Discover a three-step plan for setting and communicating objectives, goals, and KPIs. Media Budgets Index: In this new report, Econsultancy and Datalicious compared where marketers are allocating media budgets versus where consumers are spending their time. A global survey of 678 relevant senior staff reveals a disconnect between marketer spending habits and consumer viewing habits, especially when it comes to television, display, and SEO. Social media continues to be a priority across all regions and nearly half of respondents plan to increase their paid social media spend. The report also provides recommendations on utilizing underserved marketing opportunities within online and traditional media. Charting Instagram’s Growth: Socialbakers analyzed the 500 largest Instagram company profiles from January 2015 to February 2016 to find out how follower growth and interaction have been impacted by the platform’s size and maturation. The research shows that overall follower growth has increased by nearly 35% at a steady pace during this time period, but is starting to slow down as the platform matures. Total user interaction is up by 42%, but individual interaction per 1,000 followers is on a decline as users become inactive over time. Data Elevates the Customer Experience: New Ways of Discovering and Applying Customer Insights: Forbes Insights, in partnership with SAS, conducted a global survey of 357 senior executives across a range of industries and functions and one-on-one interviews with executives on how to provide better online customer service. According to the report, 29% of those surveyed have seen a significant shift in their ability to deliver superior customer service by using data analytics. Forty-two percent are actively working towards building detailed customer profiles, which can track them across social media platforms and help provide fast, flexible customer service. What do you think of retargeting on Pinterest? Will you use YouTube Director? Please share your comments below. 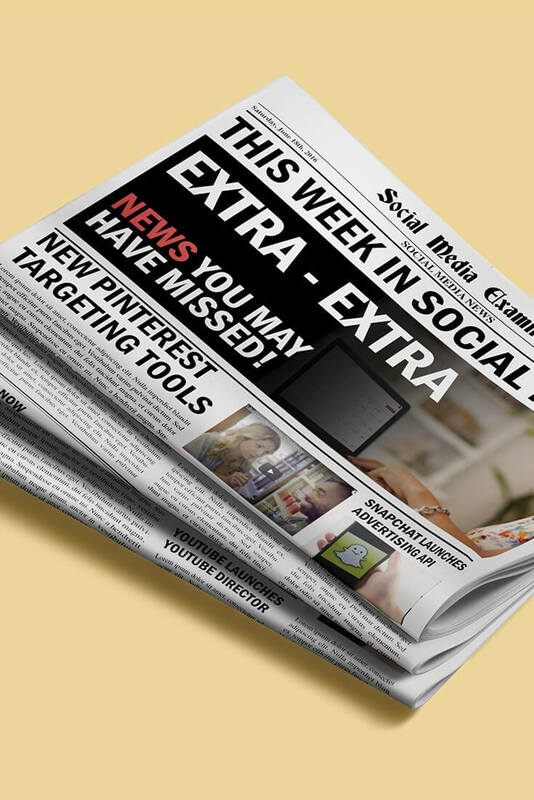 Pinterest Rolls Out Retargeting and other social media news for June 18, 2016.